This Tony Award-winning musical with score by Bon Jovi's David Bryan tells the story of a white radio DJ (Huey) in the 1950s who falls in love with the forbidden music of rock & roll. He also falls for a beautiful black singer (Felicia) he meets in one of Memphis' many late-night clubs. Can rock & roll transform not just their lives but society as well? 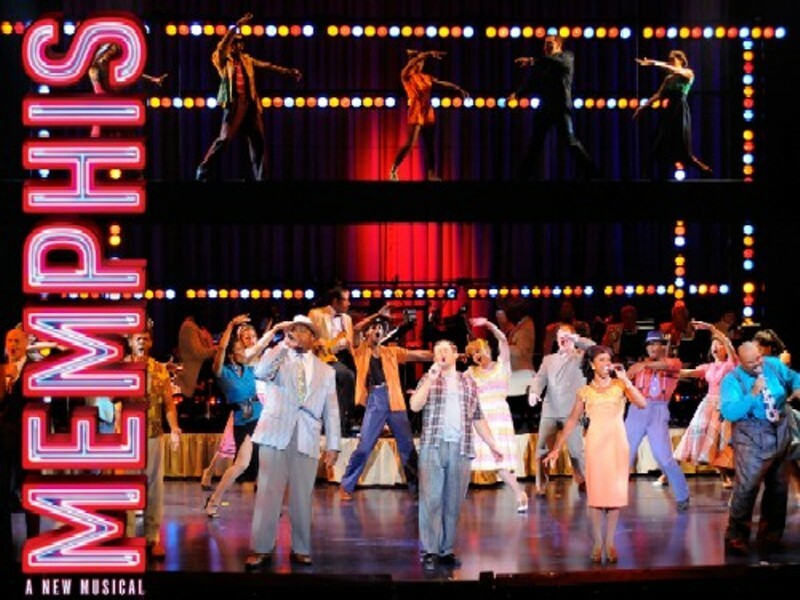 The Broadway smash Memphis comes to the big screen in a special simulcast event at 7:30 p.m. this evening at the Regal St. Louis Mills Stadium 18 (5555 St. Louis Mills Boulevard, Hazelwood; www.fathomevents.com). A 20-minute documentary explaining how the play was brought to the silver screen runs before the performance. Tickets are $20.